Training – The Dog House of L. C. & L.
Here at The Dog House we know that sometimes you need a little help. From new puppies to senior citizens- any dog at any age can learn new tricks! We offer a variety of classes to take training to the next level. Puppies absolutely need socialization! Introducing your puppy to other dogs at a young age will not only prevent anxiety and aggression with other dogs- it will give your pup some much needed confidence! We will start with easy task to learn while focusing on socialization. Plus, a room full of puppies, who could say no? By enrolling in this course you will set the foundation for the rest of your pet’s life. They will learn the basic commands and so will you! How you train your pet is equally important to the training. This class is a great place to start if your puppy is older than 16 weeks and is ready to learn. The Canine Good Citizen course is the next step after Basic training and serves as our intermediate class. 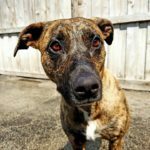 In this course you and your pet will learn some additional commands to master while drastically improving all basic commands. Can you say Master’s degree? One of our most entertaining classes! In this course you and your pet will do several bonding and confidence building exercises while having a great time. 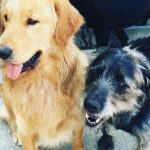 This course will teach your dog to signal to different smells, notify you when finding the correct one, and learn the ability to track a scent. 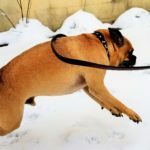 Sometimes, as a pet owner, we struggle to help our dogs or we do not understand why our dogs exhibit certain behavior. This class will help with reactive dogs by learning to reinforce good behavior and curbing the negative ones. Reactive behaviors can include a variety of problems such as: Biting or nipping, leash reactive, other aggressive behaviors, and more. Possibly one of the best courses to have fun and learn with your pet. 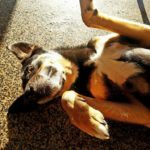 This course will teach your dog fun commands such as: kiss, using a balance beam, spin, play dead, roll over, and much more (How cool is that). This is an AKC certified class! While we are not offering this class yet- we would like to know how many of our clients would be interested, so let us know!